The warmth of spring is on its way, and AWP soon after, but it's the heat of the summer residency that we're most excited about. 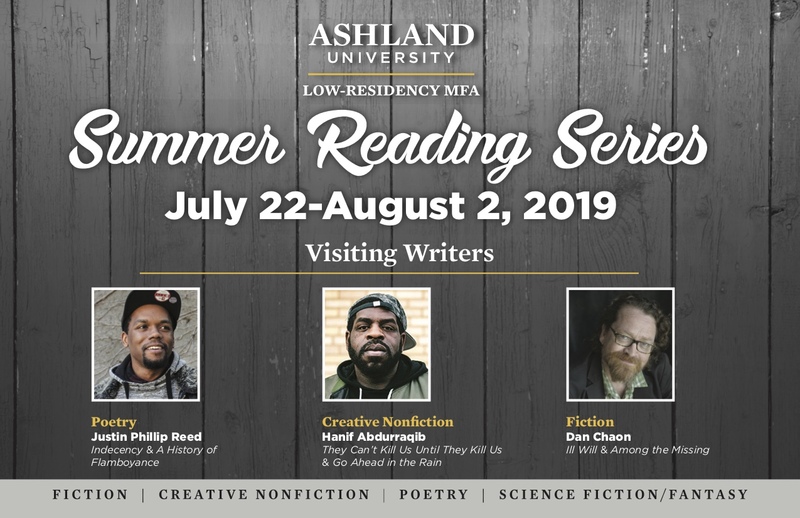 We are honored to have two new knock-out visiting writers that are coming to Ashland to spread their brilliance. Each visiting writer gives a reading, a craft seminar, and meets with the graduating cohort of MFA students. 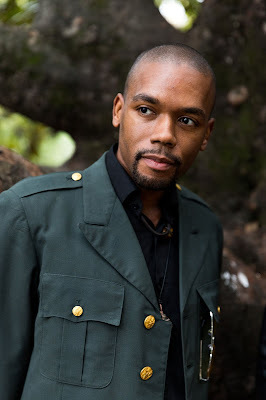 Justin Phillip Reed is an American poet living in St. Louis. He is the author of Indecency (Coffee House Press), winner of the 2018 National Book Award in Poetry and a finalist for the 2019 Kate Tufts Discovery Award, as well as the chapbook A History of Flamboyance (YesYes Books, 2016). His work appears in African American Review, Best American Essays, Callaloo, The Kenyon Review, Obsidian, and elsewhere. A three-time high school expellee and an ex-college dropout, he received his BA in creative writing at Tusculum College and his MFA in poetry at Washington University in St. Louis, where he served as Junior Writer-in-Residence. He has received fellowships from the Cave Canem Foundation, the Conversation Literary Festival, and the Regional Arts Commission of St. Louis. (Bio from Justin's website. Photo credit, Nicholas A. C. Nichols). Dan Chaon’s most recent book is Ill Will, a national bestseller, named one of the ten best books of 2017 by Publishers Weekly. Other works include the short story collection Stay Awake (2012), a finalist for the Story Prize; the national bestseller Await Your Reply; and Among the Missing, a finalist for the National Book Award. Chaon’s fiction has appeared in Best American Short Stories, The Pushcart Prize Anthologies, and The O. Henry Prize Stories. 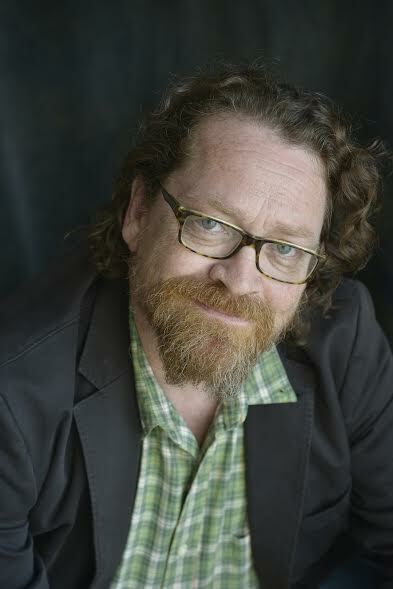 He has been a finalist for the National Magazine Award in Fiction, the Shirley Jackson Award, and he was the recipient of an Academy Award in Literature from the American Academy of Arts and Letters. Chaon lives in Ohio and teaches at Oberlin College. (Bio from Dan's website). We feel truly blessed with this amazing lineup! And stay tuned: we've got some stellar visiting editors on their way, as well. Readings and craft seminars are free and open to the public thanks to a generous grant from the Ohio Arts Council.